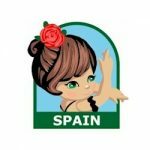 Add the Spain Patch as a fun component to your study of Spain’s Flamenco Dancers, Castanets, Fans, Toreadors, Bull Fights, El Greco and other Spanish points of interest. Your girls will have fun learning about the Ice Hotel in Sweden. Reindeer are abundant in Sweden. 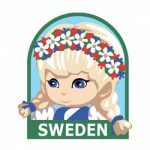 Girl Guides in Sweden can expect to have a very high standard of living. Swedish meatballs make a fun food for everyone to try. 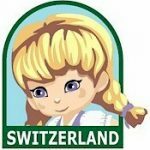 Make the Switzerland patch part of a fun study of Switerzland’s culture including the Alps, yodeling, mountain climbing, Swiss cheese and neutrality. The patch will be a fun memento. 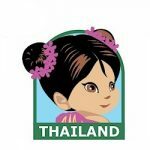 Thailand is a great country to choose for Brownies* who are working on their World of Girls JOURNEY*. 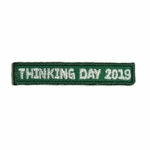 Give them this patch from MakingFriends®.com to remember their Brownie* years. 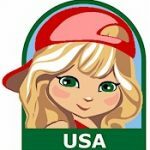 The USA Patch is a perfect addition to your group’s study of our journey from immigrants to the great country we now inhabit.